It took me almost a week of being busy before I started thinking about my journal. I guess that is why I haven’t thought about it. Hockey has been up and down for me as of late. After blowing an ice hockey game 7-4 last week, I rebounded with a good game on Friday and won 7-6. 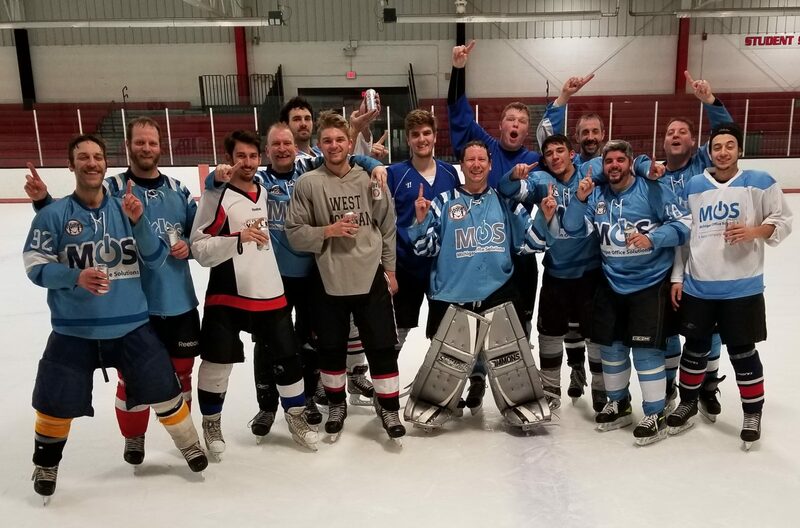 On Monday, my Stick Heads team clinched first in the division by winning 4-3 in OT. Today I lost a heartbreaker of a game with Team X in a 7-6 loss in OT to Extreme Graphics. What does all this mean? It means I am playing streaky in my opinion. Speaking of my opinion, I have been told by a lot of people that I don’t give myself enough credit. Ok, maybe that is true. However, every goaltender I see seems to play a lot more steady than I do in net. Maybe it is the saves they make or the way they play. Either way, I need to build my confidence back up a couple notches. I am going to give a couple examples of my confidence POSSIBLY playing a role. The Team X game and my ice hockey team last week I just didn’t feel good about those games. Team X actually held the lead until about 30 second left in the game when Extreme tied it. Windemuller, my ice hockey team, didn’t hold a lead in that game. I was smoked by 3 breakaway goals. It could be confidence, and then again it could be my team in question. Lets face it, the team is what wins games. Sure, a team with a beginner goaltender isn’t going to do well. Just like an elite goaltender in the advanced leagues isn’t going to play well when his team consists of beginners. A goalie may steal a game, or a team may play to a higher potential, but that is about it. For the most part, the games are going to be decided on the skill level of the team that is put out on the ice. Teams like the Stick Heads are going to do well but teams like Windmeuller are going to take time to find a grove or struggle until better help comes. I am not trying to deflect blame here. I know some blame should go to the goaltender who lets in a weak goal or two. The Team X game today is a prime example. My team has the lead with 2 minutes to go. I should stop an along the ice shot from going in. Sure, it was a great shot, but I have to get my butterfly down fast enough to take that away. Maybe I don’t give myself enough credit. Maybe I am holding myself a little too high on the list of standards I have set for myself. I have to think about that a little bit. I’m curious, do the people who tell you that you don’t give yourself enough credit understand the psyche of a goalie? Do the really understand what we have to deal with, the mental torment we often put ourselves in? Sometime I ask myself if its’ really worth it. But then I think about what I have accomplished in the one year I’ve been playing goal, and the better person, overall, I’ve become, and say it has been. And you cant be as streaky as I’ve been. From what I’ve read, it seems to be you have a good, steady, solid game. You’re right..we win as a team, we lose as a team. If the goalie takes 40 shots, make 39 saves, your team still wont win if they cant find the back of the net. Excellent points! I don’t think I could agree more. I had a shutout a couple weeks ago and I was somewhat happy with my performance. I was happy with the result, but I was out of position on some of those shots. If my Defense wasn’t there to help me out, then I would have been dead in the water. Anyway, I do have to admit that some members of my team are right. I am too hard on myself. Confidence, in a sense, hasn’t been a problem but in other instances it probably holds me back a little. I hope that makes sense. Shoutouts- I’ve had four since the beginning of the year. In each game I took no more than 10 shots. It was nice to get the win, and the shutout, but when I really think about it, it meant nothing since I didnt have to work for it. I’d rather get pounded, work my tail off, and earn a win.